Dr Bronwyn Hudson, MBBS (Hons), DCH, MLLR, BCom (Hons), is a Doctor in the Northern Rivers of NSW. 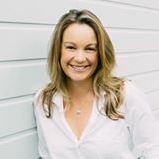 Based in Bangalow, she holds positions at Lismore Base Hospital, The Tweed Hospital and Byron Central Hospital. Dr Hudson also runs a drug and alcohol clinic in Bangalow. Dr Hudson is Chair of the Byron Shire Medical Council, a Fellow of the Royal Australian College of General Practitioners and an Advanced Trainee with the Royal Australasian College of Physicians, Chapter of Addiction Medicine. Dr Hudson practices medicine with a harm reduction approach. As a provider of medical services at local music festivals including Splendour in the Grass and Bluesfest, she knows all too well the harm that can caused by taking drugs. “We have an obligation to our community to keep them as safe as possible”. Dr Hudson is an advocate for pill testing. “We know it saves lives and reduces harm caused by drugs. Every life lost is a life that could have been saved”.